The wide-ranging subpoena from the Manhattan US attorney's office requires the committee to turn over documents related to virtually every donor or donation, attendee at a committee event, piece of paperwork related to the legal requirements attached to donations and even "the possibility of" donations made by foreign nationals. 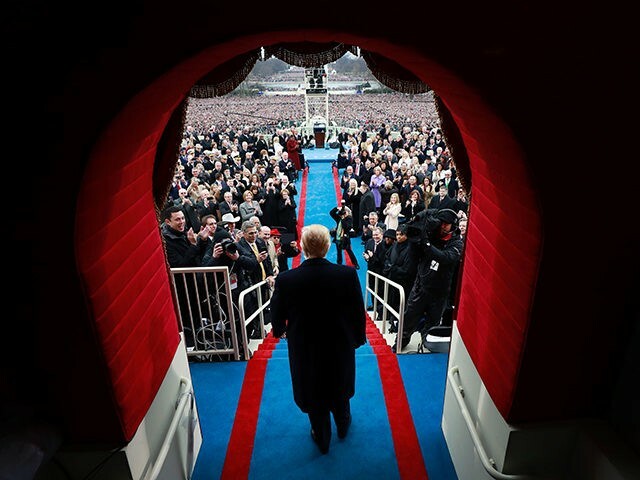 On Monday, federal prosecutors delivered a subpoena to President Donald Trump's 2017 inauguration committee, the latest development in the many inquiries into Trump related to the 2016 election. Prosecutors are also reportedly examining whether donors made their contributions in exchange for access to Trump's new administration, a voice in policy-making, or a say in picking the new cabinet. A spokeswoman for the committee told The Associated Press that committee had received the subpoena and was still reviewing it, adding 'it is our intention to cooperate with the inquiry'. A spokesperson for the inaugural committee indicated to the Times that it is still reviewing the subpoena and is intending to cooperate with prosecutors. The subpoena also requests information on inauguration attendees and whether they were promised photos with Trump. Federal prosecutors' investigation into the committee involves possible financial abuses related to the more than $100 million in donations raised for Trump's inauguration, CNN has reported. Gates testified against Manafort at his trial on bank fraud and tax evasion in Virginia previous year. Federal prosecutors in NY issued a subpoena, as CBS News has confirmed, looking for information on donors and benefits they allegedly received in exchange for donations. The subpoena seeks a wide range of documents, including information on any donations "made by or on behalf of foreign nationals". Barrack did not respond to Tuesday's subpoena. A Zuberi spokesman confirmed that the two knew each other, but said that they didn't discuss any potential business together until 2018. He is known in Washington, D.C. circles for bundling hundreds of thousands of dollars to leading Democratic politicians, including the presidential campaigns of former President Barack Obama and Hillary Clinton - attaining the rank of "Hillblazer", according to one Clinton campaign memo released by Wikileaks.